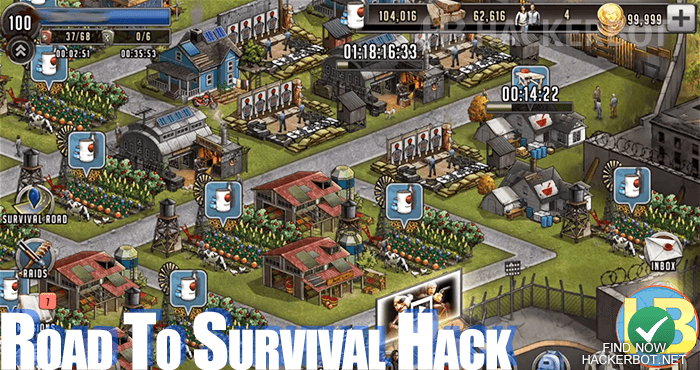 If you are unable to find hack apps, you could also try to use macros and bots to farm the game for you automatically. 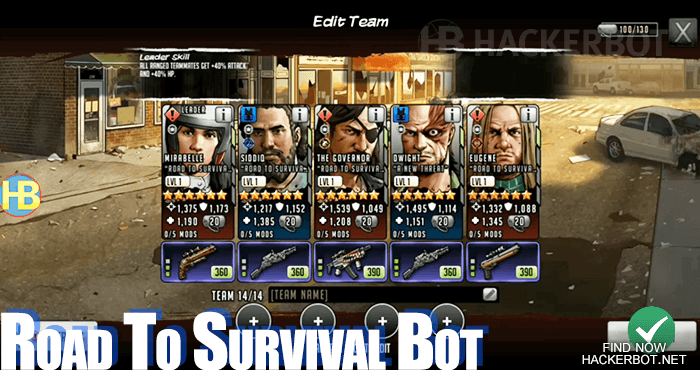 Bots are apps that can automatically play the game for you, they can build buildings, upgrade your town hall and training grounds, craft and upgrade gear, weapons, characters and a good bot for Road to Survival will even be able to automatically farm Fights, Missions and Raids for additional resources, XP farming, free Coins, Charakter Tokens, Weapon Tokens and all the other free goodies you get by simply playing the game. Unlimited energy is sadly not possible either, so playing the game takes time which is why a bot is best, since it is able to spend energy constantly and does not need to rest or sleep. Another really effective way to use macro bots is to use them to automatically send teams on scavenger missions, allowing you to farm even more resources, tokens and gear over time by constantly completing scavenger missions 24/7/365. 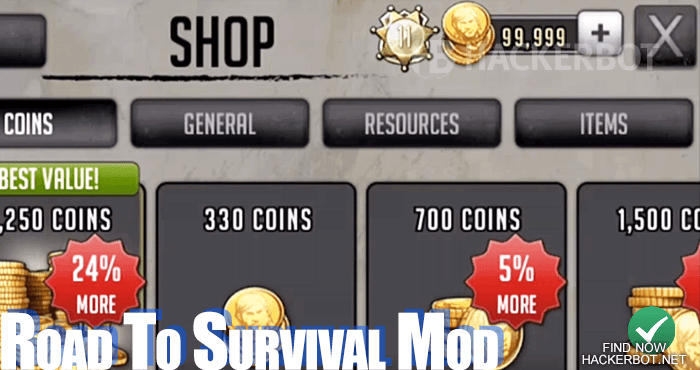 – Bots are certainly the closest you will get to an unlimited tokens and coins hack for The Walking Dead: Road to Survival and you can find a tutorial on how to set up your own bot here. 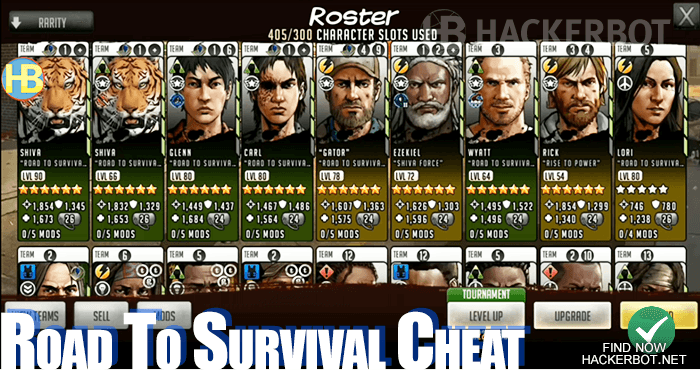 While it would be nice if there was an easy way to hack unlimited coins (gold/gems), unlimited items, legendary 6 star weapons and characters, level 100 characters, editing stats like HP, Defense, Action Regen, maxing out all buildings and so on, it is sadly not among the cheats that are possible to use in TWD Road to Survival at all. – The game is an online based role playing game and that means that all the relevant account data, such as your money, coins, resources, gear, items ect are stored on the Scopely game servers. Those game servers cannot be accessed, changed, modded or hacked using any kind of tool, generator or hack at all and anyone claiming otherwise it probably trying to survey scam you. Free purchase tools, such as lucky patcher, creehack and so on do not work on this game, since it is an online mobile game. If you want to get goodies, you will have to kill some zombies or players either using cheats and bots or actually playing the game yourself. Grind is necessary to get good stuff here. Before downloading any free mod menu or hack for The Walking Dead: Road to Survival, you will need to make sure that the file has been uploaded by a trustworthy person, is recent, has recently been confirmed as clean, working and undetected by more than one person. After you use the available information in the comments or thread where the mod has been uploaded, you can then safely download the file. However, even if you take all these precautions before downloading a cheat, you should still first use it on an alternate account on an emulator or 2nd phone first, before using it on your main account. If the alt account is fine and not banned after using the cheat, then you can move on to using it on your actual game account.